Coming January 25th, Extended Ops is bringing a new Extraction Mode for Ghost War and some convenience improvements to the campaign mode. The update will be available on PC, PlayStation®4, and Xbox One. The size of the patch will be 8 GB on Steam, 14 GB on Uplay and up to 13.5 GB on consoles depending on your version. Please remember that you’ll need to restart and update your platform if you wish to play online. In addition to the new Extraction mode, we are also glad to bring colorblind options to both the campaign mode and Ghost War. We have been in touch with several colorblind community members in order to add visual options that address all kinds of colorblindness. Should you have any feedback to share with us on this topic, please don’t hesitate to share them on the official forums. Also, great news for PvE players: Fallen Ghost weapons are now available in the campaign mode, to the condition that you have installed Fallen Ghost on your version. 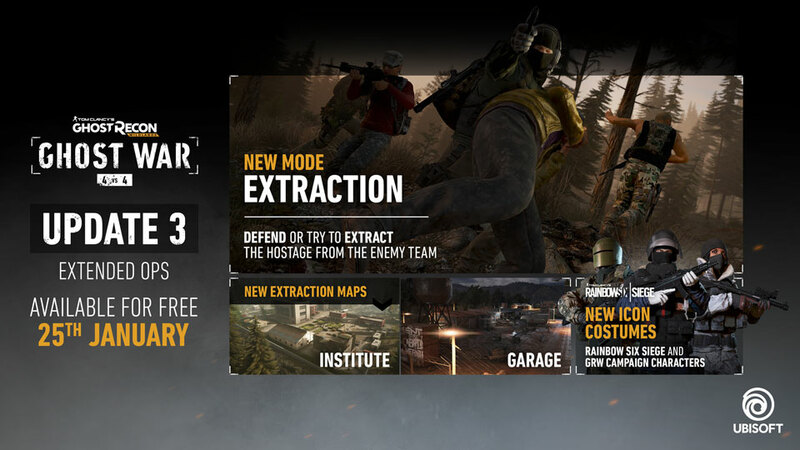 Extended Ops is also introducing Battle Crates that are designed to offer you an additional and accessible way to complete your cosmetic customization experience, for both the Campaign and Ghost War modes. For more information about the Battle Crates, please read the dedicated FAQ. - Sentinel & Pathfinder: Fixed an issue where the Sentinel and Pathfinder firing shot sound was not heard by teammates and enemies. - Artillery: Fixed an issue where by launching a mortar strike, the player’s position would be revealed on the tacmap. - Predator: We have removed the Predator's Assault-specific HP bonus and reduced the HP gain when activating Adrenaline Rush. The Predator will now be more vulnerable, while still remaining extremely lethal and versatile. - Medic: The Medic's drone will now be marked for the enemy 1 second after being launched, instead of the 6 seconds that the other drones get. This will give enemy teams more time to react to a Medic's revive attempt and try to counter it. - Warehouse: We fixed an exploit which allowed players to rush to the top of the building and gain an unfair advantage on the enemy team. 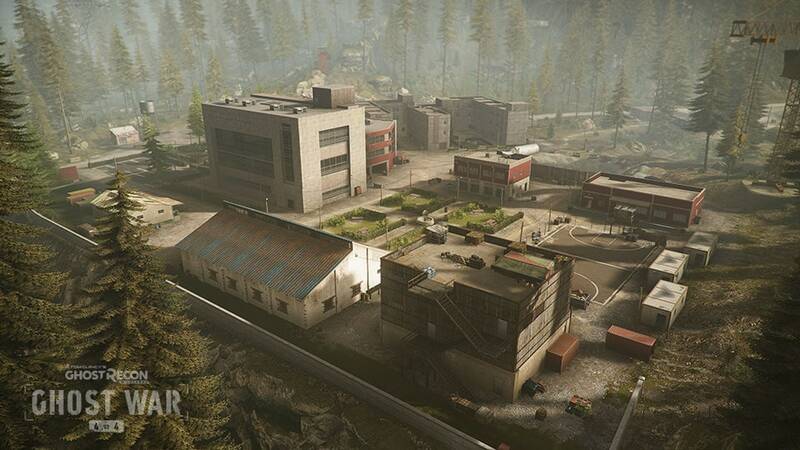 - Jungle base: We blocked off the upper area of the main building to avoid camping and negative gameplay experiences. 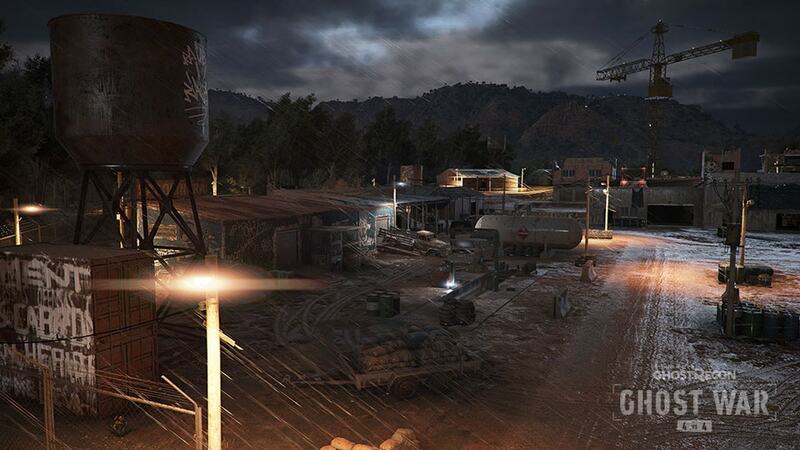 - Urban Incursion: We've moved the Uplink location in order to focus the gameplay in a more open area. - Fixed several map level design issues. Please have a look at our Ranked Mode FAQ for more information about the Ranked mode. All Ranked changes will be applied at the start of the second season, start of February. - Player Rating: The Matchmaking Rating (MMR) is now calculated at the end of a match, instead of the end of a round. This way we avoid frustrating situations where players would win the match, but decrease in rank because they have lost one or two rounds against a lower rated team. 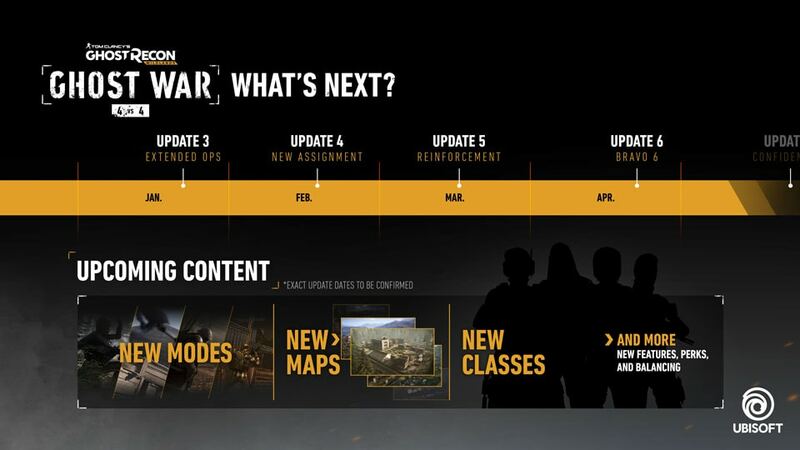 This also means that the placement rounds will be removed and replaced by placement matches. - Matchmaking: Because we now take into account full match outcomes when calculating ratings, players will not be able to join ongoing matches anymore, because it would be unfair to join a match where the enemy team is already leading. Also, when completing a Ranked match, players will not be dropped to the Menus anymore. Instead, they will keep being engaged in the matchmaking process in order to let them play consecutive matches without having to restart matchmaking each time they finish a match. - Penalties: Leaving penalties are now more severe in Ranked Mode, in order to discourage and punish players from leaving an ongoing match as this will have a much bigger impact on the game. Quickplay penalties have not been changed. - Fixed an issue where an incorrect warning message was displayed on the Ranked button for the case where the next strike would grant a penalty. - Fixed an issue where the Prestige points were not displayed on the end screen results page, when ranking up. - Fixed an issue where, in Custom Match sessions with players in only one team, would end right after player’s spawn. - Fixed an issue where a wrong sound bark was played if the round was won by eliminating the enemy team in Uplink game mode. - A compass has been added at the top of the in-match HUD screen so players can use it either for callouts or to better navigate the map. - Fixed an issue where the Scope category items would remain set if they were highlighted with the mouse and not selected. - Added Ghost War Crates. For more information, please read our FAQ. - Fixed an issue where the Player could holster the weapon by canceling the capture of recon tower or Uplink, right before it begins. 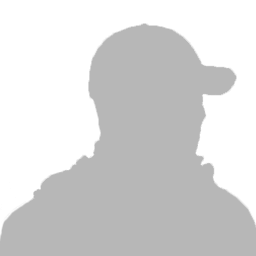 - Fixed an issue where you could see the drone’s rotor blades while spectating a player. - Fixed an issue related to character collision and throw-able items on some body parts. - Fixed an issue where downed players that were inside a mine radius could not be revived after the mine has exploded. - Fixed an issue where a mine could be triggered by the player if the mine was placed above ground, on an object, and the player would step on the ground next to the mine. - Fixed several HUD display issues. - Fixed several text issues. - Fixed an issue where the Uplay Rewards popups were displayed each time you enter Ghost War (the issue only impacted some accounts). - The Fallen Ghost weapons pack in Ghost War is now available in the main campaign. - Fixed a recoil bug on the R4 and MDR weapons. - Fixed a bug on Helicopter Controls HUD elements. - Added Spec Ops Crates. For more information, please read our FAQ. - Fixed a bug when the explosion didn’t go off after killing the Predator for some players. - Added the list of all the items available in Battle Crates, so that players can assess which items they do not have yet. - Added Tacmap support for the Extraction mode in Ghost War.